Born in 1985, Mark grew up in Melbourne’s East Doncaster. Throughout his childhood, Mark was known as the dorky fat kid — earning himself the nickname ‘Pork Chop’. Unhappy and lacking confidence, he spent much of his childhood alone, playing video games and watching WWE wrestling on television. Mark’s turning point came at age 14, when he discovered the world of health and fitness. Determined to rid himself of his unflattering nickname, he began training daily after school. From this point on, he proved himself by committing to learning and working harder than everyone else. The hard work paid off and Mark was able to transform both his body and develop his confidence. After countless hours spent working out and pouring over the latest bodybuilding magazines and nutrition guides, it was obvious that what began as a way to lose weight, had ultimately turned into a way of life. 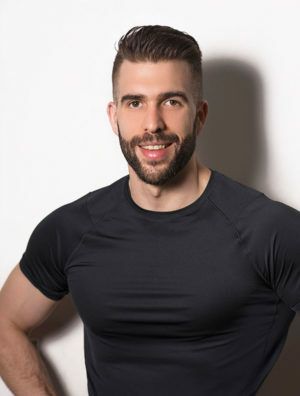 Buoyed by a single minded goal to empower people through health and fitness, Mark decided to devote himself to personal training; to perfecting his craft and actively improving the lives of his clients Like all business successes, true success comes at a price: determination, commitment, application and resilience. Hard times, when they came, made him harder. Fast-forward to today, Mark is one of Australia’s most successful and sought after personal trainers. His studio Enterprise Fitness boasts a team of 17 staff and a 7-figure turnover. Mark has coached elite athletes at the highest level, hosted sold-out seminars and published several e-books. He has followed up on his success by launching Wolfpack, a successful mentoring program for the next generation of personal trainers. Not bad for a fat kid from the eastern suburbs!